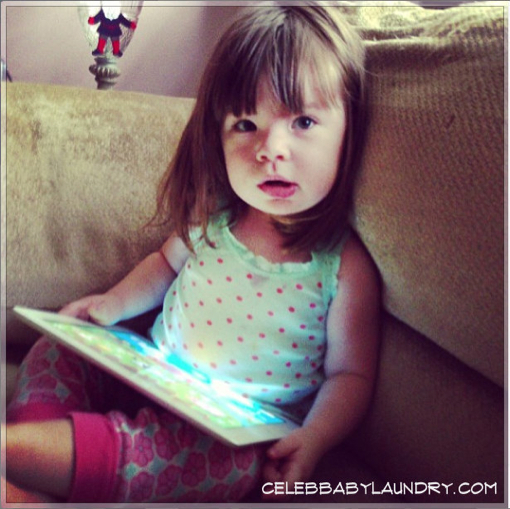 My 23-month-old daughter, Ava loves playing apps on my Iphone and Ipad. In moderation, I think apps are a great because they are educational and help further her learning. Ava loves everything Sesame Street, so she naturally took an interest in this app right away. I downloaded the free version first because the full version is $4.99. The price tag is a little expensive, but in my opinion this is the best Sesame Street app on the market. The app has songs and videos about letters. The main song the app plays is really great. Every letter of the alphabet is associated with a word and this has really helped Ava develop a connection between letters and words. She says, “A, Apple, B, Bee”. Basically, there is something interactive to do with every letter of alphabet. Older children can trace letters of the alphabet. For the time being I help Ava with that! Brought to you by Disney, kids enter an updated looking version of the Hundred Acre Wood were they interact with Winnie the Pooh and his friends. Traveling through different parts of the Hundred Acre Wood brings your little one can choose different activities to do which include: Interactive puzzles, Musical activities, Matching memory game and Coloring pages. Ava loves this app for the musical activity section. Children can tap on different birds and bunny’s to hear different musical sounds. Ava really loves birds, so she gets a kick out the interaction. Fisher-Prive has a couple of Laugh & Lean apps that Ava loves, but at the moment this is her her favorite. The characters come to life in 5 animated music videos. They are educational and teach about letters, numbers, colors, shapes, animals, opposites, body parts and more! Ava loves the monkey and the Wheels Go Round and Round song. Can you add any other Apps your children love? Stayed tuned for more reviews!